Eugenol is one of the essential chemical constituents of several functional food plants including Eugenia caryophyllata Thunb. (Family: Myrtaceae). Eugenol exhibits neuroprotective and anti-stress activities through multimodal mechanisms of action. Further, eugenol exerts anti-amnesic activity in Alzheimer’s disease (AD)–like animals perhaps through anti-oxidant mechanism to date. Hence, the present study was designed to elaborate the anti-amnesic activity of eugenol in scopolamine-challenged rodents. Scopolamine (3 mg/kg/day, i.p.) and eugenol (12.5, 25.0, and 50.0 mg/kg) were administered to male rats for 14 consecutive days of the experimental schedule at a time lag of 30 min. Eugenol (25.0 and 50.0 mg/kg) attenuated scopolamine-induced loss in learning ability in terms of increased escape latency at day-4 (D-4) and memory function in terms of decreased time spent in target quadrant at D-5 of Morris water maze test protocol. Moreover, eugenol attenuated scopolamine-induced loss in spatial memory in terms of decreased percentage of spontaneous alteration behavior in Y-maze test. 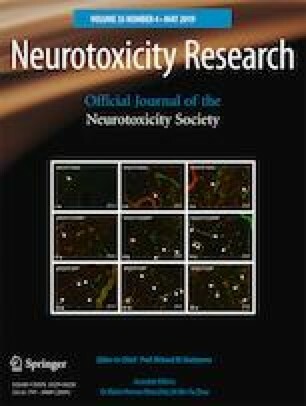 Additionally, eugenol attenuated scopolamine-induced hippocampal cholinergic dysfunction (decrease in acetylcholine level, increase in acetylcholinesterase activity, and decrease in density and affinity of M1 and total muscarinic receptor), glutamate neurotoxicity (increase in levels of glutamate, calcium, calcium-dependent calpain-2, and brain-derived neurotropic factor), and mitochondrial dysfunction (decrease in formazan produced, membrane potential, and oxidative stress) in rats. Thus, it could be considered as an alternate candidate in the management of AD. Moreover, inclusion of functional foods containing eugenol could be a better option to manage memory formation in neurological disorders. This study was financially assisted by GLA University, Mathura, Uttar Pradesh, India.